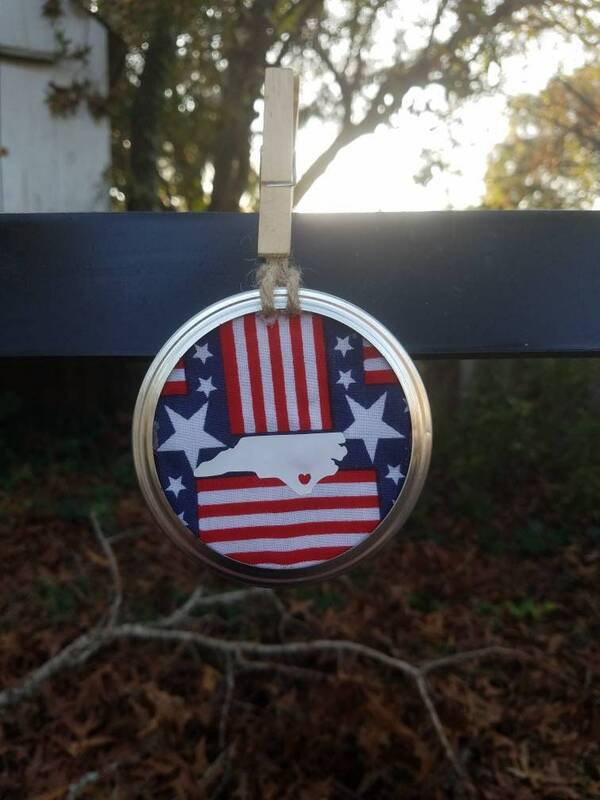 Show your North Carolina love with a handmade ornament. Hang on a tree, in an office or anywhere you want to show some North Carolina pride. Ornament measures 3.5 inches by 3.5 inches.